When Danielle Dutton's SPRAWL first broke upon the world in 2010, critics likened it to collage, a poetics of the suburbs, a literal unpacking of et cetera. This updated edition, with a new afterword by Renee Gladman, reopens the space of SPRAWL's "fierce, careful composition"--as Bookforum wrote--"which changes the ordinary into the wonderful and odd." Today I fell asleep in the tall grass near the old train station. It was a complete picture. A fashionable park. Yet the picture had its sordid and selfish aspect. I can't seem to say what I mean, Mrs. Barbauld, but with some urgency I mean to inform you what a triumph the big city has become. I am a secular individual but even I can feel the shift in the horizon utterly alien to the constitution of things, the habitual. Sincerely, etc. I move in shade on the edge of a parking lot under walnut trees in the early morning around the edge of a curve in an accidental manner. I walk the sidewalk and ripple the surface of it. From this condition I have a view of the world. 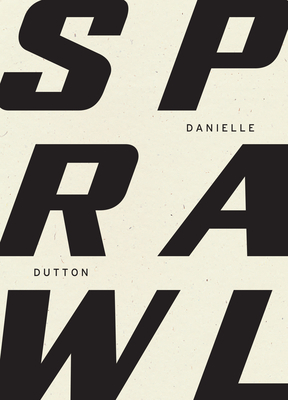 Danielle Dutton is the author of Margaret the First, SPRAWL, and Attempts at a Life. Her writing has also appeared or is forthcoming in The Paris Review, Harper's, The White Review, Fence, BOMB, and others. She is on the faculty of the writing program at Washington University in St. Louis and is co-founder and editor of the feminist press Dorothy, a publishing project.